QUIZ: What should you read next? November is here! What better way to enjoy the last month of fall than curled up in an armchair with a blanket and a romance novel to keep you warm? Take this quiz to find out which book should keep you company heading into the holiday season. From V.C. 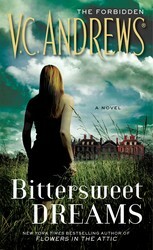 Andrews, bestselling author of Flowers in the Attic (now a Lifetime movie event), comes the tale of a gifted teenager who finds that mastering high school is much easier than mastering her heart. 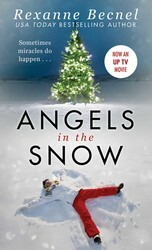 Charles Montgomery tries to save his fragmenting family by dragging everyone to a mountain retreat for Christmas--but a blizzard leaves them stranded without heat or electricity. When another family knocks on their door seeking shelter, the Montgomery clan is reminded of the true meaning of the holiday. 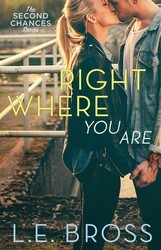 A college senior takes Carrie Underwood's "Before He Cheats" a bit too literally in this smart, snappy new adult debut, the first in the Second Chances series, and finds herself sentenced to community service, where she meets a bad boy who might just be exactly what she needs. The Quiz was such fun, and now I have added a new book to my reading list!! Yay! Which one did you get? I got What Happens Under The Mistletoe! This sounds like a fun book and is perfect for the season. Loved the quiz! 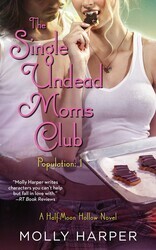 I got Single Undead Moms Club. I was actually listening to it at the time. LOVED it!!! !